Aquinas Kids® presents a delightful new line of children's activity books written and illustrated by Deborah C. Johnson. These books, specifically created for children ages 5-9, feature crossword puzzles, word finds, dot-to-dots, hidden pictures, jumbles and many more engaging activities for hours of family fun. A special "Talk About It" feature on each page ensures interaction, making them ideal for classroom settings as well. 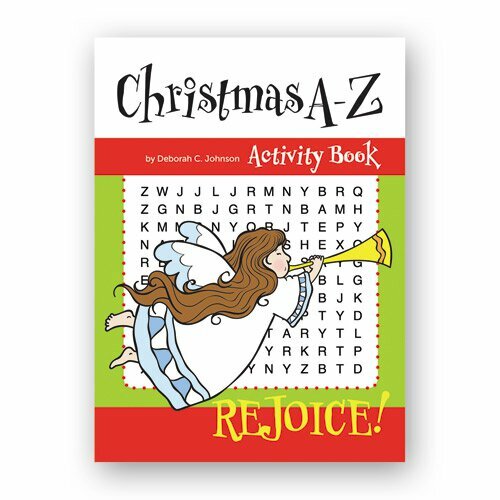 Christmas A-Z Activity Book will help children learn about and celebrate the seasons of Advent and Christmas. Ages 5-9.